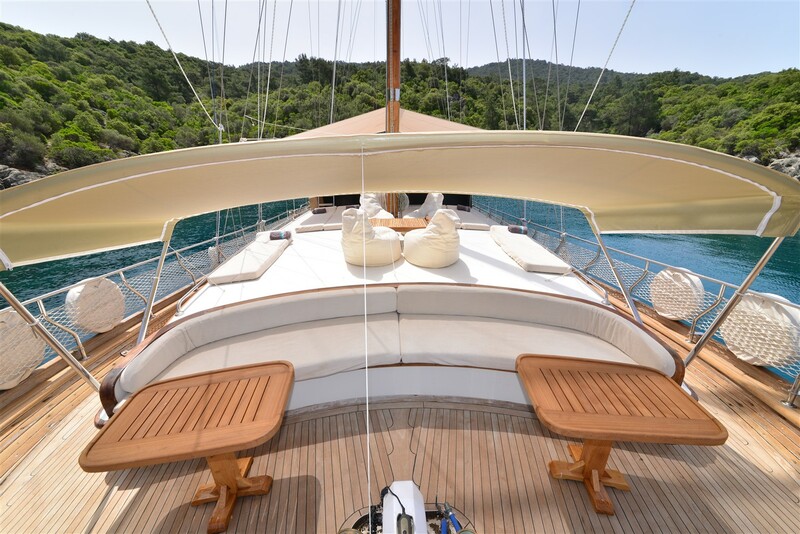 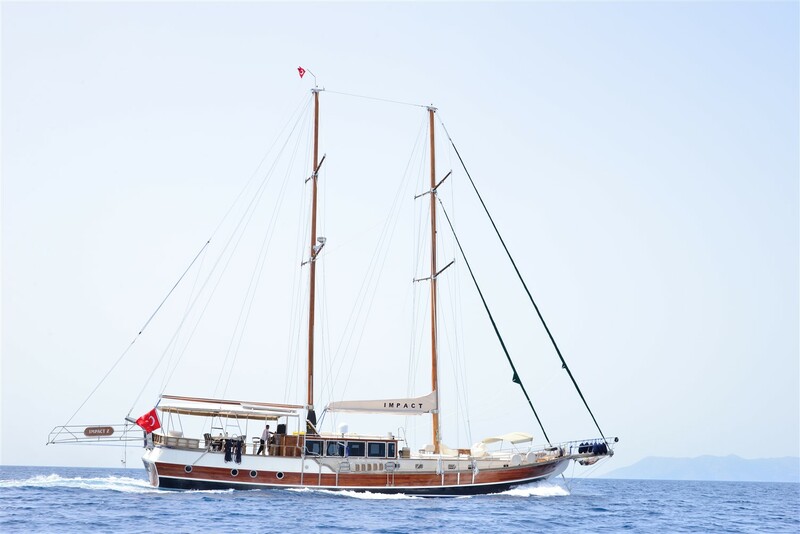 The Luxury gulet Impact Z stands out as an attractive 26 meters yacht on the Turkish coast, just right for up to ten guests to enjoy a memorable cruise. 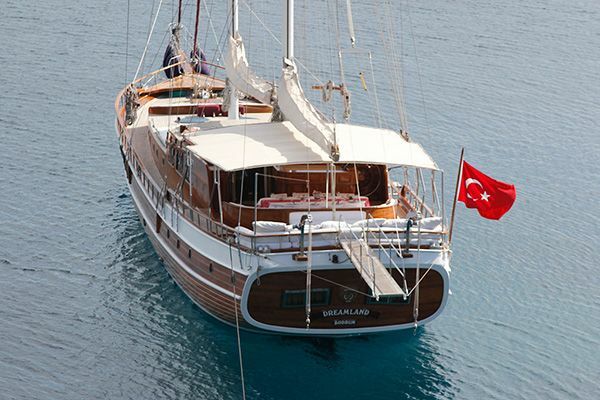 Built and now refitted in her home base of Fethiye with the latest materials and technology to give her guests a luxury experience on deck and in the five double cabins, she offers all comfortable beds, air-conditioning, attractive light timber paneled cabins with textile finishes, televisions and well-fitted en suite bathrooms. 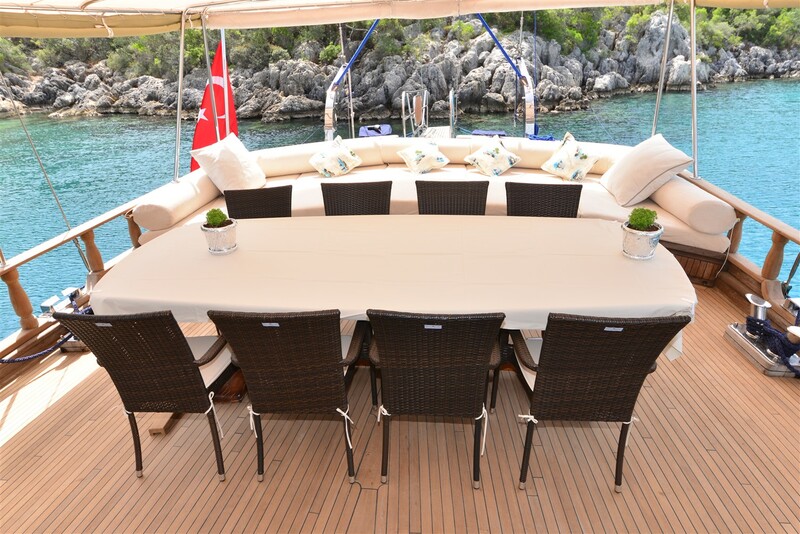 The indoor saloon on Turkish gullet IMPACT Z has a comfortable homely feel about it with armchairs and small table and a small bar area for drinks service, while the aft deck invites guests for relaxing hours on the cushion bank across the stern, after another delicious meal at the outdoor dining table. 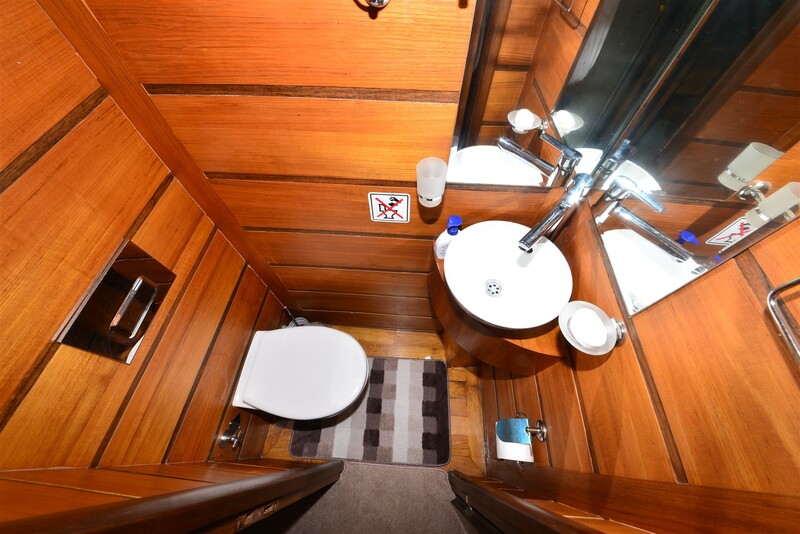 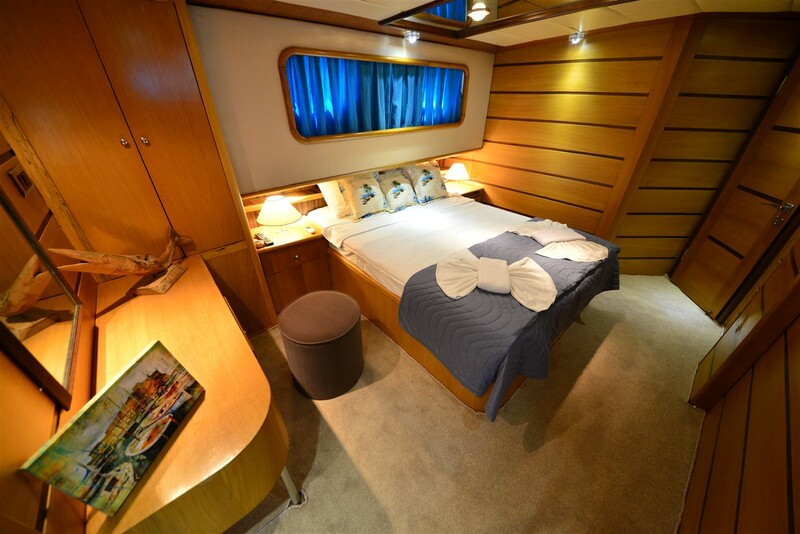 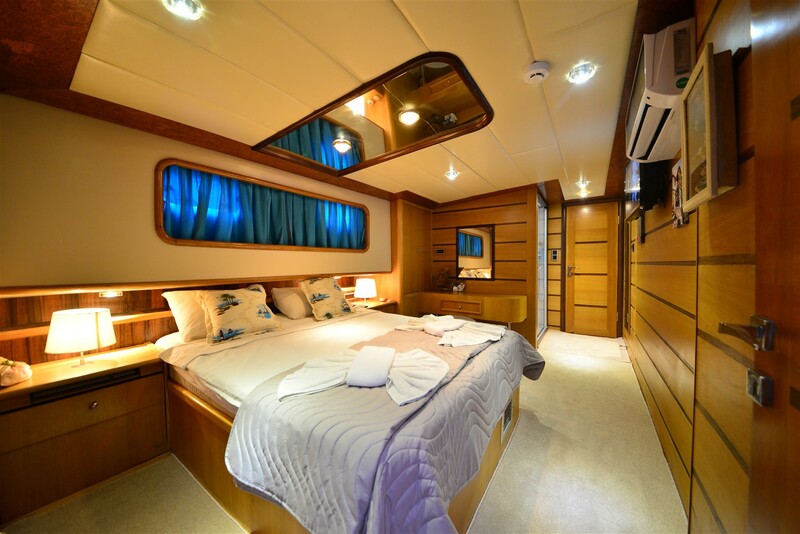 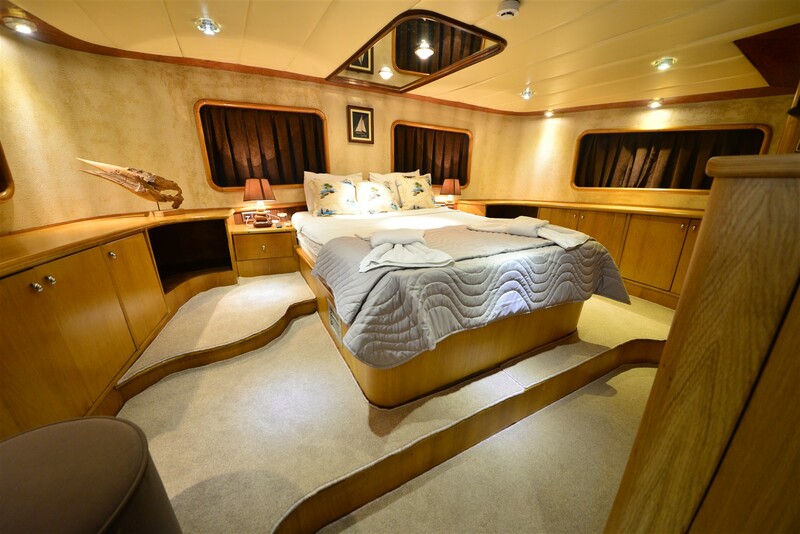 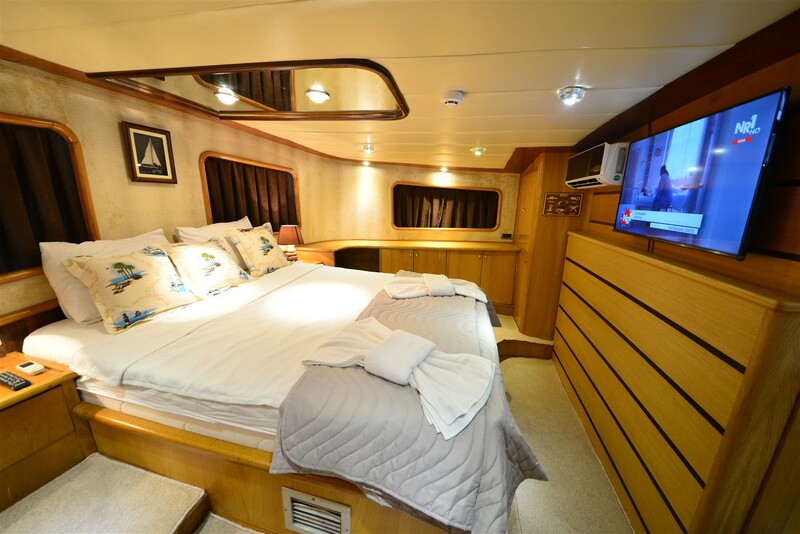 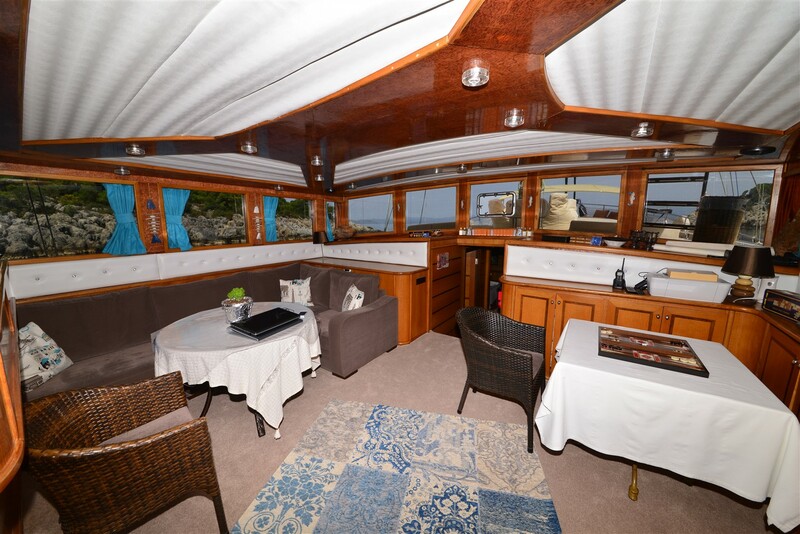 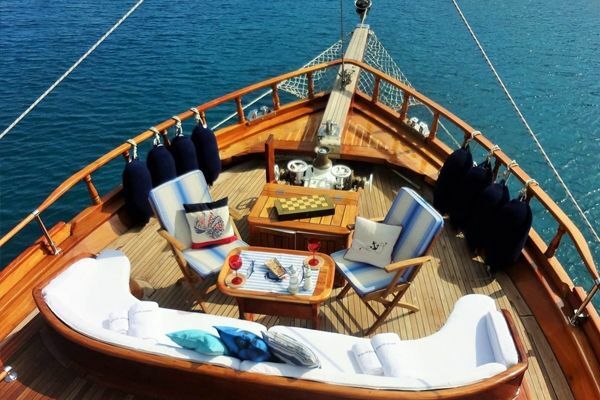 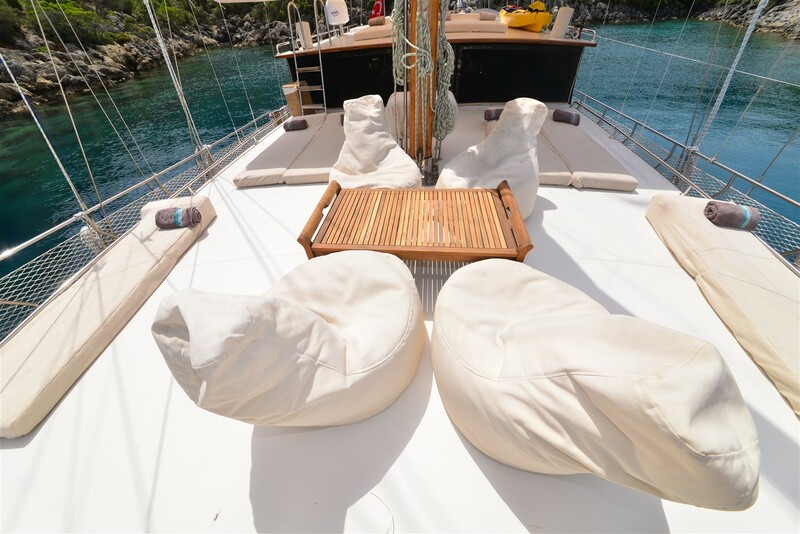 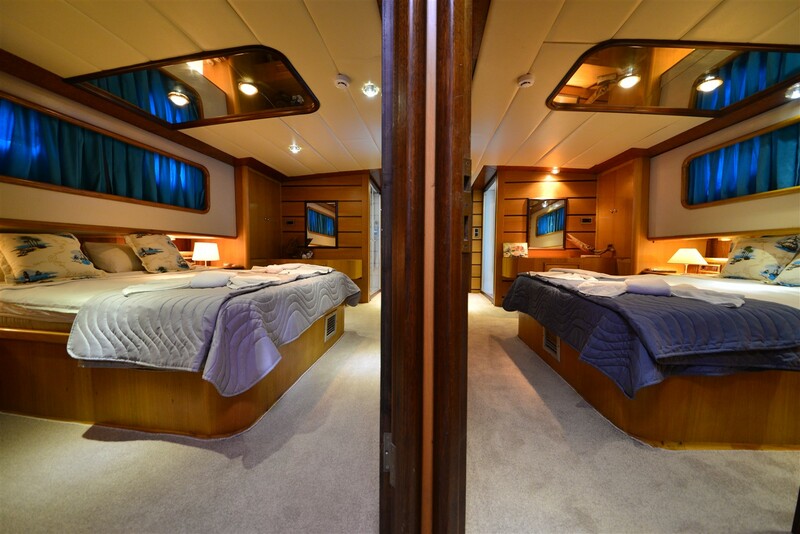 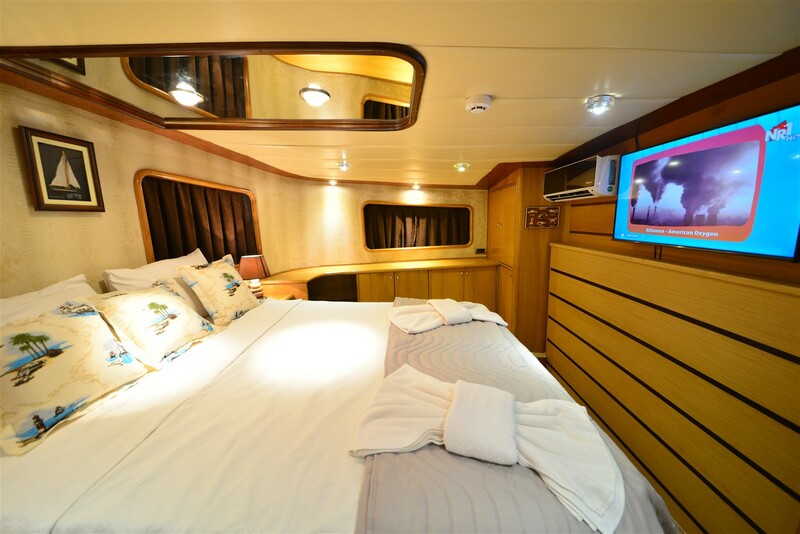 On the foredeck of yacht has ample room for sunbeds and bean bags, and a bimini shaded bow seat that is always a popular spot for taking in the views while sailing or anchored in a bay, or for evening drinks. 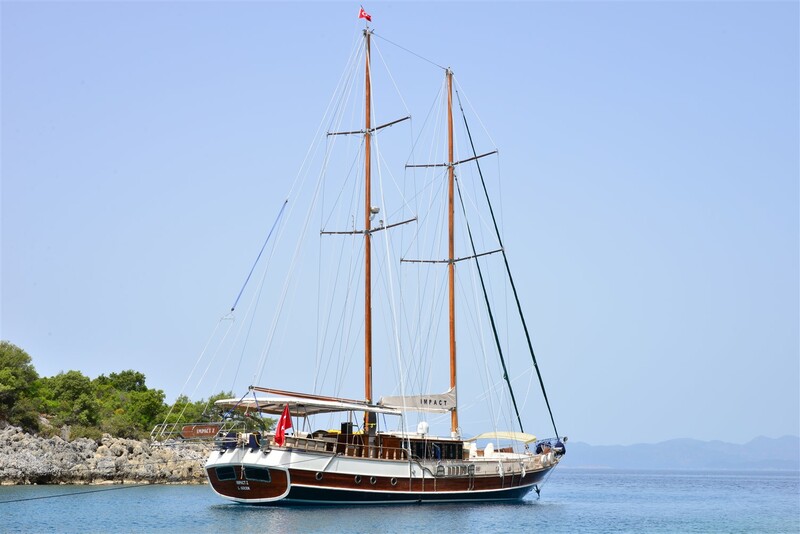 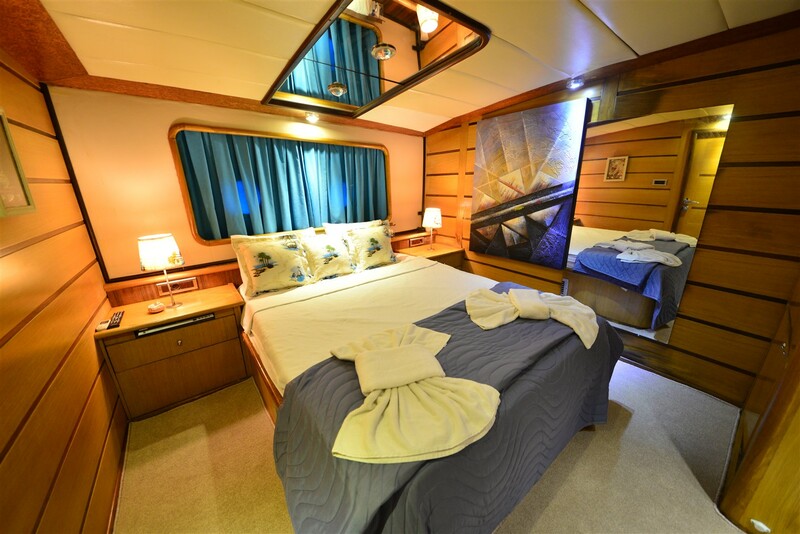 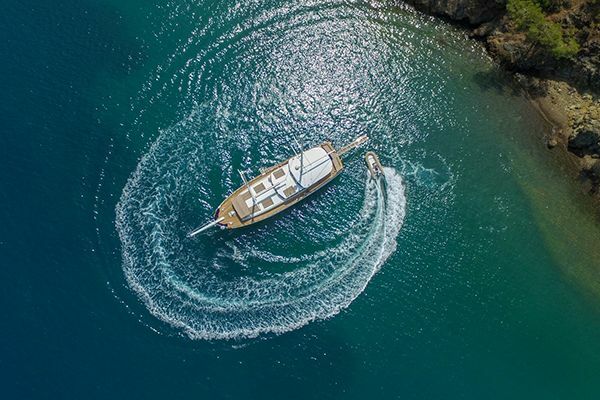 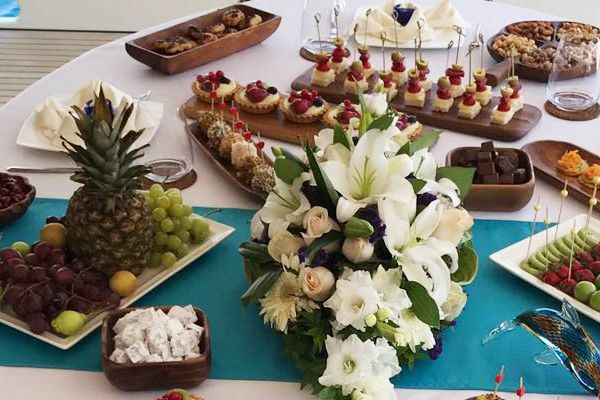 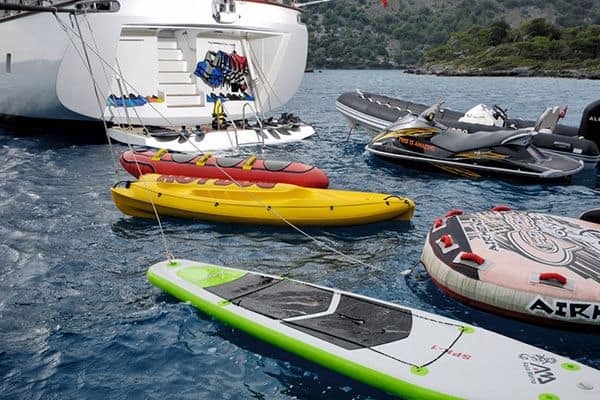 With water toys added, and a pleasant professional crew to provide all the service, guests can sit back and enjoy a thoroughly memorable cruising holiday along the Turkish southwest coast, and into the Southern Dodecanese Islands of Greece.